Well . . . there wasn't much time for Etsy love yesterday . . . 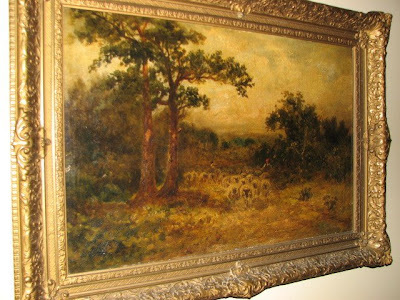 I was asked to wrap a large (27 x 37 inch) Oil Painting, signed and dated 1841. Very valuable too (no pressure!). Personally I think such a valuable piece should be professionally shipped. 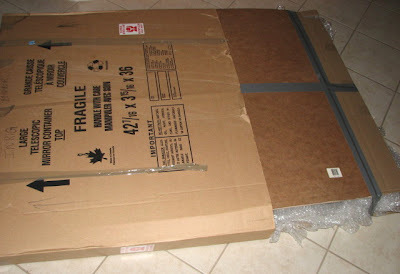 I looked into the best local shipping sources for large and difficult items to mail. The answer I was given was the painting needs to be crated. This company looks great http://www.gonavis.com/ . I think a crate is the way to go. Have you ever seen those images online of the inside of a UPS truck at Christmas time? Very scary. Parcels on the floor, upside down, split open and bouncing it seems. So . . . . I phoned the buyer in Beverley Hills (yep, the 90210) and recommended the custom crate. Nope . . . . UPS ground is what he wants. I think my new boss (a local auctioneer) needs to state mandatory airmail and professional shipping on her website . . . . and that is my recommendation for immediate implementation. Ya! But in the mean time . 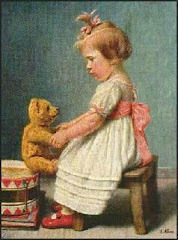 . . little ol' me is shipping a $10K antique oil on canvas painting. 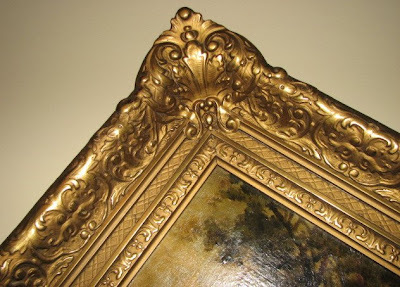 With a delicate plaster frame just to make things really fun! 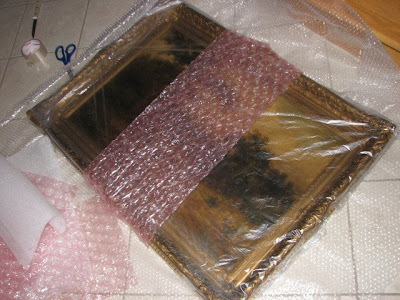 First I wrapped the painting in a clear plastic bag ~ quite snugly so nothing can actually touch the canvas. 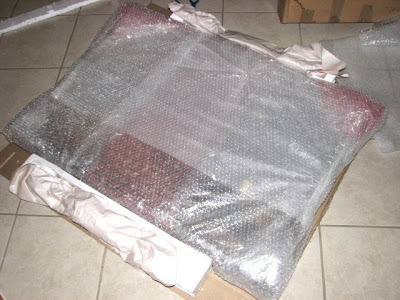 Then I wrapped it in bubble wrap with extra folds on the corners. 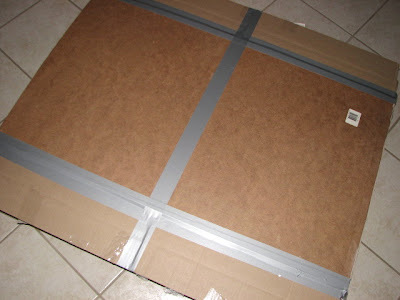 I asked hubby to cut a custom front and back (crate-like) layer of hard-board from his workshop which we duct-taped to the cardboard on the front and back for added protection. I stuffed Styrofoam and bubble wrap all around the 3 inch buffer, on all four sides and then it was slid into another box for shipping purposes. Double boxed with hard board in between and 3 inches of bubble wrap all around. Packaging is my least favorite part of my business. Well, right after taxes! Hugs to you! Lovely picture...I agree though...takes forever to package some items...especially of value. I am the queen of packing tape around here! I am sure it will get there safely! Hope they let you know. Looks like you did a fab job. I'd be worried too....once he lets you know it arrived safe and sound you can breathe again! I agree with Cami, Packaging is my least favorite thing to do. I learned to give a 3" cushion all around the product. I have more success that way. I shipped a huge crab from Seattle to Kentucky by greyhound bus. It took me 3 hours to wrap the crab. The crab made it in one piece, thank you God. I have many store items that are fragile. Another trick for overseas is to wrap the item giving a 3" cushion and double box. I am always looking for recycling packing material. I have not yet found "peanuts." There must be a company out there that would give me their "peanuts" to recycle. the painting and loved the step by step photographs.